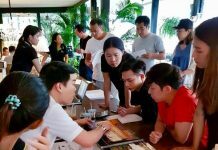 Sansiri PLC., one of the premier luxury real estate developers in the country, held a press conference and media day on May 14 to give a construction progress update on ‘The Base Central Pattaya’ condominium, which is scheduled to be completed and ready for ownership transfer by April 2016. Construction work well underway on The Base Central Pattaya. 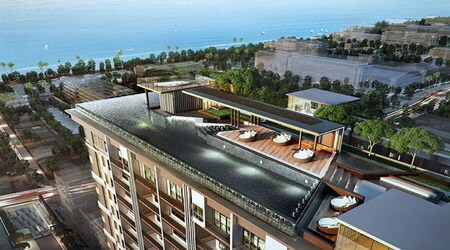 Located on a prime 6-rai land plot in the center of the city on Pattaya Sai Song (Second Road), the project sits just 300 metres away from the Central Festival Pattaya Beach shopping mall. The complex comprises two residential condominium buildings – one 31-storey and another 27-storey, plus another 4-storey parking facility. Unit types include 1-bedroom and 2-bedroom configurations with dwelling areas ranging from 28.5 to 69.50sqm. The project will offer a total of 1,112 units altogether, the owners of which will be entitled to a range of first-class facilities. Prices start from 1.99 million baht. 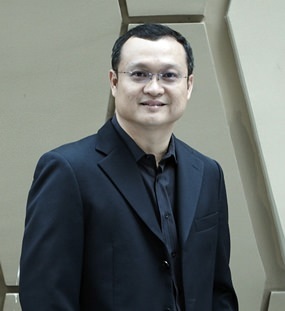 Uthai Uthaisangsuk, Senior Executive Vice President of Business Development & Project Development Division (Condominiums), Sansiri PLC. The development was granted the Environmental Impact Assessment (EIA) certificate on 27th February 2014 and construction began in March of this year. Around 10% of the architectural structure has been completed already, including the pile-driving work. The construction process, which is being carried out by Construction Line Co., Ltd., with Project Direction Co., Ltd. as the construction supervisor, is anticipated to last 27 months. 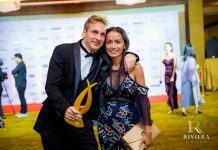 “Throughout our 30 years in existence, Sansiri has always placed customer satisfaction at the top of our priority list. That is why we have a truly efficient and professional construction management system in place that ensures both the quality and timeliness of our construction works. Such genuine commitment to quality is what, we believe, has created the trustworthiness our customers have in Sansiri and it is one we strive to live up to,” added Mr. Uthai. Construction progress of The Base Central Pattaya is updated for customers regularly via the company’s official website at www.sansiri.com. Once complete, all co-owners of the development will be entitled to a range of special ‘Sansiri Family’ privileges along with access to all three of the Sansiri special lounge facilities located at Siam Paragon in Bangkok, Central Festival Phuket, and at Sansiri Holiday Lounge Hua Hin. “At Sansiri, we always strive to offer our valued customers the very best… both in terms of product quality and service excellence”, concluded Mr. Uthai. The project is ideally located in the center of the city, close to the major shopping and dining attractions plus the beach.